What are the Nobel Prize medals made of? How many prizes were given at the first Nobel Awards? When were the first Nobel Awards given? 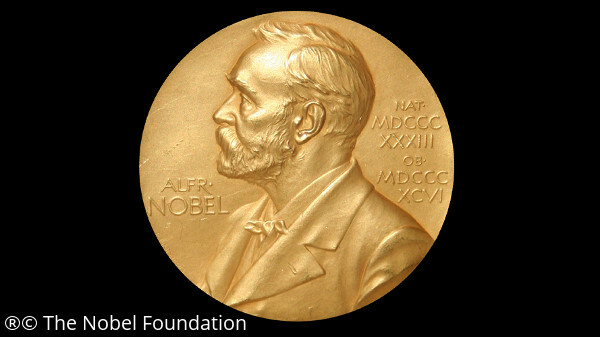 The first Nobel prizes were awarded on December 10, 1901. A total of five prizes were awarded that day. The first person to be awarded their prize was Wilhelm Conrad Röntgen, in Physics, for his discovery of X-rays. The second person was Jacobus H. van ‘t Hoff, in Chemistry, for his work on osmotic pressure. The third person was Emil von Behring, in Medicine, for work on developing a diptheria antitoxin. The fourth person was Sully Prudhomme, in Literature, for his poetry. The first medals awarded were temporary medals because the backside of the medal designs had not been finished. The first true medals were struck in September 1902. Until 1980, the medals weighed about 200g and were made of 23 carat gold. Since 1980, they are made of 18 carat gold and weigh 175g, except the Economic Sciences Medal which weighs 185g. The very first Nobel Medals given were temporary. Wilhelm Conrad Röntgen was the first person to receive a Nobel Medal. Until 1980, the Nobel Medal was made of 23 carat gold, now it is only 18 carats.